Noreen Weiss is an entrepreneurial lawyer serving disrupters, SMEs, investors and multinationals. She is an accomplished corporate and transactions lawyer and management advisor, with over 25 years’ experience advising founder teams, C-Suites, Boards of Directors, and investors on all manner of finance and fund-raising transactions, M&A, international business development, and commercial transactions. As a practicing lawyer in London, Tokyo and New York, Noreen spent her career focused on international work for innovative companies and investors in those companies, at the highest level of business and finance. Noreen has particular expertise in capital formation deals from seed and angel investments through to late state venture capital investments and Regulation D private offerings, IPOs and ICOs, securities law compliance, international corporate structuring and business development and expansion through subsidiary formation or M&A and joint ventures, corporate governance, technology licensing, product sales and distribution, incentive compensation, and commercial contracts. She represents US and non-US start-ups and growth companies, SMEs, angel investors, venture capital and private equity funds and family office investors, and multinationals. 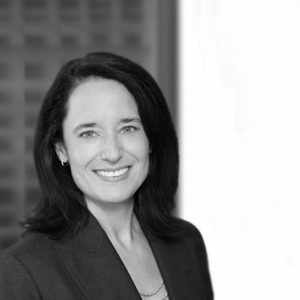 Noreen frequently serves as outside general counsel where she handles an array of commercial and operational issues including corporate governance and technology licensing, and product and materials acquisition and distribution. She also has a particular expertise assisting non-US businesses expand into the United States through subsidiaries, divisions or branch offices, and US businesses expanding abroad. Noreen represents clients from a broad spectrum of industries such as innovative and disruptive start-up and emerging technology companies in FinTech including crowdfunding platforms, blockchain and cryptocurrency-related businesses and smart contract developers, software development and SaaS, e-commerce, gaming, wearables, IT and big data, EdTech, health-tech, medical device, mobile telecommunications and apps, TV and online media services, fashion, food, wine and spirits, travel services, financial services and fund formation, multinational conglomerates in television and film, and consumer products and retail. She also provides US Securities Law compliance advice to issuers and investment funds, and represents angel, VC, PE and family office investors. A former in-house counsel for Home Box Office (HBO), a Fortune 100 Company, Noreen has the unique perspective of a client, and understands the practical business challenges that executives face each and every day. She brings this business-minded perspective to all her client matters. The in-house experience, coupled with her experience working abroad, provides valuable insights when serving her international client base.